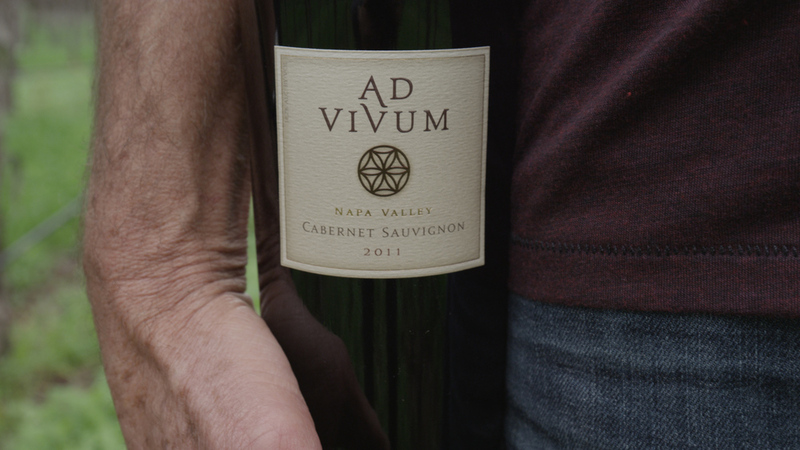 AD VIVUM is a story of a special vineyard, a seasoned winemaker, a meticulous farmer, and Mother Nature. AD VIVUM is a single-vineyard, 100% Cabernet Sauvignon wine crafted by Chris Phelps, a long-time Napa Valley winemaker who has earned a reputation for his ability to consistently produce unique wines that honestly reflect the terroir of their vineyard origin. After many years of searching, Chris was introduced to Sleeping Lady Vineyard just south of Yountville by owner/farmer Larry Bettinelli, a fifth-generation farmer with a mission to do whatever it takes to grow Cabernet Sauvignon at the highest level. 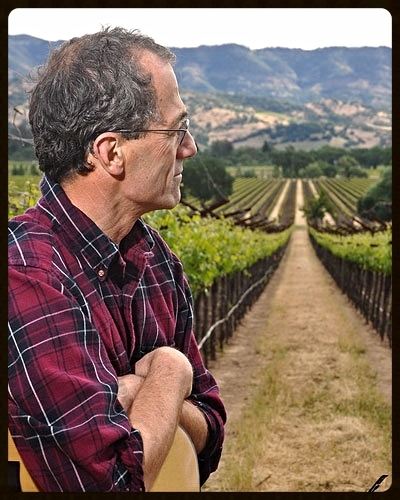 Chris & Larry had already collaborated on many small-lot experimental wines, starting in 1990, as Larry researched trellis design, clones, rootstocks and other key vineyard design features. After several years of collaboration and experimentation with Sleeping Lady Cabernet, Chris knew for sure that this vineyard was not just one more Napa Cabernet vineyard – rather, it was simply some of the most exceptional vineyard ground in Napa Valley. Based on this knowledge, he made the commitment in 2007 to begin his own winemaking project. Chris knew his new venture needed a name as big as the wine it represented - and that is where Mother Nature intervened. Chris found the inspiration from a personal experience in 2005 that further drove his passion for life and his love of winemaking – being struck by lightning and living to tell the story. Bringing together the Latin words AD (toward) and Vivum (Vivere, to live + Vinum, wine) AD VIVUM was born – quite literally, in Chris’ mind – as the mystical intersection of wine and life. AD VIVUM, where wine and life meet. "This wine has soul. And most wines lack soul." Chris then embarked on a 16-month sojourn in Bordeaux, which begin with a year at the Institute of Enology. He met Christian Moueix, who persuaded him to stay on to manage the 1982 harvest at Château des Laurets, in the Puisseguin-St. Emilion district of Bordeaux. It was during this trial-by-fire experience that Chris met his mentor, the brilliant Jean-Claude Berrouet, who served for 44 years as the winemaker of Chateau Pétrus. To this day, Chris still credits much of his inspiration as a winemaker and his solid understanding of the technical challenges of the winemaking craft to Berrouet’s tutelage. Upon returning to Napa Valley, Chris spent twelve years as winemaker at Dominus, as part of the Berrouet-Moueix team. He considers the 1991 and 1994 vintages to be among the greatest wines he has helped to create. He then spent seven years at Caymus Vineyards, managing all red winemaking from 1999 through 2002. Swanson Vineyards then persuaded him to join them as winemaker for 12 years, setting the stage for that winery’s current renaissance. Chris, who lives with his family in St. Helena, continues to shape wines of great balance, refined texture and singular aromatic and flavor profiles that evoke their place of origin. In addition to his Ad Vivum project, Chris works as a consulting winemaker. Single-Vineyard: Ad Vivum Cabernet Sauvignon is made from one small micro-block of vines at Sleeping Lady Vineyard, in Yountville, Napa Valley. The vines are located at the vineyard’suppermost western perimeter along the Mayacamas Mountains. Row orientation is southwest-northeast. The vineyard is sustainably and meticulously farmed by the Bettinelli family. 2015 is the earliest Ad Vivum harvest on record, and was reminiscent of the 1987 season, which was also a couple of weeks early and marked by low yields. While Sleeping Lady escaped the significant shatter that lowered the yield in many Napa vineyards, the clusters were small and the berries were much smaller than usual. We harvested during a brief window between two 100-degree temperature events, when nighttime temperatures dipped down to 50 degrees. Not surprisingly, small clusters and lightweight berries led to an unprecedented level of concentration in the initial juice and resulting wine.